Business travel is being increasingly dominated by security, data and mobile technology, says a leading industry expert. Nigel Turner of Carlson Wagonlit Travel (CWT) also says that in the UK, the train is once again finding favour among busy executives, while the industry is now becoming more consumer-oriented across the world. Founded in 1994 in Paris, France, CWT is a privately held travel management company owned by Carlson Companies that handles both business and leisure clients. CWT operates in 157 countries and territories, and has 22,000 employees. In 2014, the firm recorded sales of $27.3 billion, from 62.3 million transactions. The world’s largest business travel company, CWT handles the travel arrangements for big brand names such as Siemens, Standard Chartered Bank, and Nomura. The company’s ethos is a simple one – to save its clients time and money when organizing their corporate travel without compromising safety or sustainability. 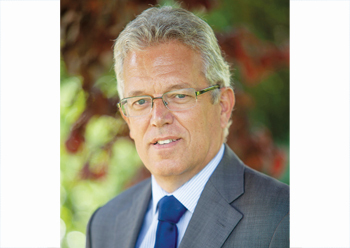 Turner joined CWT in 1983 as a travel agent and has worked his way up to the UK & Ireland leadership team. Today, as senior director of Programme Management & Business Services, UK & Ireland, he leads the public sector and corporate programme management teams. As such, he has his finger on the pulse of what corporate travellers need and how they want it delivered. Time is of the essence when it comes to corporate travel in the UK, with many executives letting the train take the strain. “Domestically, the main trend we’ve seen is a lot more people going by train to major cities rather than flying and also, more importantly, than using the car. That is because train travel has become a lot more reliable and it offers the opportunity to work on it; we are choosing these options because productivity is important to us all now. Travelling is work time. People prefer to get a train because it gives you back a few hours extra in a day,” Turner tells TTN. Another domestic trend is that corporates are looking closer at their hotel spend. For overseas travel, security remains top of the agenda, according to Turner. 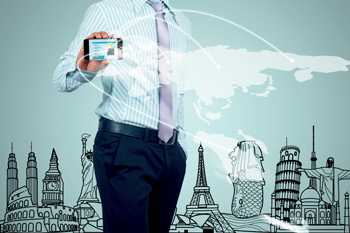 According to CWT’s seventh Travel Management Priorities report, travel managers will put more emphasis on data and mobile technology to direct their travel programmes in 2015, with a continued focus on cost saving and traveller engagement. The research highlighted the top priority (at 63 per cent) is leveraging travel data to build predictive analyses and benchmarks. This underlines that, with better data visibility, travel managers are able to steer their travel programmes towards their particular business objectives. Subsequent top priorities include deploying a fare tracking and rebooking solution, which 62 per cent of respondents agreed is a high priority, while promoting mobile apps to increase travel efficiency on the go remained a key topic, in third place at 60 per cent. “Data priority is very important this year, especially with the trend of self booking – where people’s data is going and how it is being used is important. With us, they are booking through an approved supplier and we ensure that all data is secure. However, if staff are booking independently on mobile devices or public sites data is less secure,” Turner points out. So how is CWT countering the growing trend of ‘self booking’ with corporate travel planners? “We are not so much countering it as working with it. We’ve identified that people want to go off and book themselves, and that they are used to using consumer-like services in their own life, so we’ve changed our approach to make it more customer friendly and it is starting to replicate what they can use in the consumer world,” Turner explains. In 2012, CWT launched CWT Hotel Intel, an innovative travel review site that allows business travellers to share hotel ratings and reviews within a secure, company-specific site. CWT Hotel Intel not only gives access to up-to-date information on company-compliant hotels, but also provides trusted advice from fellow business travellers. Following a business trip, travellers receive an automatic email alert asking them to comment on their hotel stay – they can give the hotel a rating and post reviews of the property so that other travellers can read about their experience and make an informed choice before booking. “CWT Hotel Intel is a corporate version of Trip Advisor. Clients give a review of the hotel from a corporate point of view. Other bookers can then choose a hotel by reviews and the company gets all the valuable information. We are trying to use the same way we book our leisure travel and harness that into a corporate travel programme,” says Turner. Even more innovation comes in the form of the CWT To Go app, available on Android, Blackberry 10, and iOS devices. The complimentary, easy-to-use app for travellers of CWT clients worldwide, provides real time travel information, including hotel reservations and flight alerts. CWT To Go is available in English, French, German, Italian and Spanish. “CWT To Go really changes the life of the traveller as it offers a personal itinerary that is live. Before a flight, the app locks onto that flight, tells you exactly when that flight will depart, and if it is delayed,” says Turner, who claims that the app is faster than departure boards at airports. CWT is certainly embracing the mobile revolution, but does Turner think one day Apple’s smartwatches will be the booking vehicle of choice? “It’s possible, going forward,” he maintains. “We designed CWT To Go for use on Smartphones and tables. There is a usability factor on what you can do on certain devices as to the size of them. A personal itinerary would be great on [Apple Watch],” he says, explaining that a flight tracker alert could work well on the new watch technology. “The size of these things make booking more difficult. The technology we are working on for booking a hotel is very easy to use, but there is a size factor. Booking a whole trip of airline, hotel and car rental probably needs the size of a table rather than a watch, but we are looking at advances we can make for that size of technology,” he reveals. CWT is certainly at the cutting edge of its game. Corporate travellers should watch this space to see what new innovations CWT brings to the table in 2015 and beyond.